For those of you stuck in that dangerous position of having more Christmas shopping to do, but no idea of what to get, the bookstore is a great one-stop shop to get something for everybody left on your list. I won’t mention which books I might have gotten for who (you can’t spoil the surprise and share Christmas secrets on the internet!) but I’ve coupled each title with a little snapshot of who the perfect gift recipient would be. Victoria has been shifted around the foster care system her entire life and, upon her eighteenth birthday, she ages out of the system and needs to learn how to take care of herself. The best part of this book is that she actually speaks in the language of flowers. In the Victorian era, suitors would send flowers with certain meanings, to give their beloved clues as to their feelings. Victoria has her own dictionary and makes a name for herself as a floral arranger, helping engaged couples design their perfect, meaningful bouquets. This is probably one of the best-written books I’ve read in a long time; I admire the beautiful prose, the characters, and the strong relationships that are woven throughout the plot. The author’s inspiration for the book is as interesting as the book itself; she’s actually started her own program called the Camellia Network to support kids as they transition from the foster system into adult life. NPR did a feature about the book here. Perfect Reader: female, ages 15 and up. It’s marketed to an adult audience, but it’s a crossover and definitely appropriate for young adult readers too. I think the movie trailer gives a good clue as to what the book is about. Perfect Reader: male and female adults who love crime shows like Law and Order. There’s some graphic, definitely adult material so make sure you buy this for someone who won’t get offended by the contents. I’m almost done the third book and, personally, it seems like the first is going to win as my favorite because it was a mix between Cold Case and historical fiction. Set in the 1960s, Skeeter is a writer trying to break into New York publishing, but is stuck living with her parents in a small Mississippi town with people and ideas she feels she’s outgrown. With the help of Aibileen, a friend of Skeeter’s own childhood nurse/nanny/maid, she interviews numerous black maids and compiles a book about all the dirty treatment and secrets the maids endure. Perfect Reader: female, ages 13 and up. Bonus points if they like historical fiction. Warning: the book does use dialect in the dialogue, so if the gift-receiver has ranted and raved about hating that sort of writing style, steer away from this book (even though I think it is hardly noticeable and works really well). This love story is epic. As Amazon explains it, “Daniel has spent centuries falling in love with the same girl.” Starting with the beginning of civilization, two souls destined to be together are constantly reborn into new bodies, in new centuries, in different countries, castes, and cultures. Let’s just say that the timing never works in their favor. For added frustration, Daniel remembers her, no matter how many time he reincarnates, but Sophia never remembers, and he has to work at making her fall in love with him all over again, each time. A little like 50 First Dates in theory, but much more like Romeo and Juliet in practice. Perfect Reader: female, ages 12 and up who’s ready for a love story more beautiful and heart-breaking than Romeo and Juliet. It starts with Hannah’s suicide and her story unfolds on thirteen recorded audiotapes–her suicide note–to the thirteen people she blames for her fatal choice. She had tried to make friends and tried to ignore the rumors, the mean comments, and pranks, but she felt like she had exhausted every avenue and nobody else would or could help her. It’s a beautifully-told, heart-wrenching story that gives you a new perspective on what you say and how you treat other people. Check out the book’s website here. Perfect Reader: male and female, ages 13 and up. This is a must read for all high school students, in my opinion, so they have the opportunity to consider bullying and it’s repercussions. 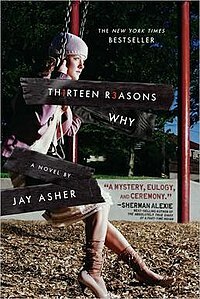 The plot is centered around suicide, so avoid the book if it’s an emotionally-sensitive topic for the gift-receiver. Two plot lines are woven throughout the book: the contemporary one is trying to solve why a famous Sherlockian scholar has shown up murdered in his hotel room. The historical one is set in London and centers around Sir Conan Doyle (author of Sherlock Holmes) as he tries to shake off the famous character that he hates being overshadowed by while solving a serial murder case. Fabulously plotted and written, it had me intrigued and guessing until the end and eager to read all of the original Sherlock Holmes stories. The book even has it’s own official blog. Didn’t know a book could be so talented. Perfect Reader: male or female, ages 16 and up. Perfect for anyone who’s read the Sherlock Holmes books, loves the Robert Downey Jr. movies, avidly watches House (if you didn’t know, House=Holmes, Wilson=Watson), or is considering membership in the Baker Street Irregulars. My boyfriend introduced this series to me–he found the first book under his sister’s bed–and it’s about Thursday Next, who’s a literary detective (she protects books targeted for crimes) by day, and a book-hopping trainee with Miss Havisham (yes, that Miss Havisham) by night. She can travel in and out of fiction, sauntering through famous scenes as the books are being read and chatting with the characters after the reader’s eyes have left the page. It’s set in a speculative history 1980s version of England and there is an official government unit of time travelers, so history is always changing, and I hedge to say that it’s a bit like Harry Potter in that there is a constant crop of new, crazy, fascinating, nearly-magical inventions popping up every chapter. These are just fun, action-packed, clever, enjoyable reads. Perfect Reader: male or female, ages 14 and up. Must be well read to get all the literary references and jokes; for example, the first book uses a cast of characters from Jane Eyre and Great Expectations, another pulls characters from Hamlet. Make sure the gift-receiver has read the book or else they will be unimpressed with the witty brilliancy of this series. What a fitting and well-done post! I’ve read THE HELP (5.5/5 stars) and the MILLENNIUM TRILOGY (5.5/5 stars). I’ve put both under my ‘Top book recommendations’ page because they are just — wow. I’m now going to look into the ones under the books I mentioned. 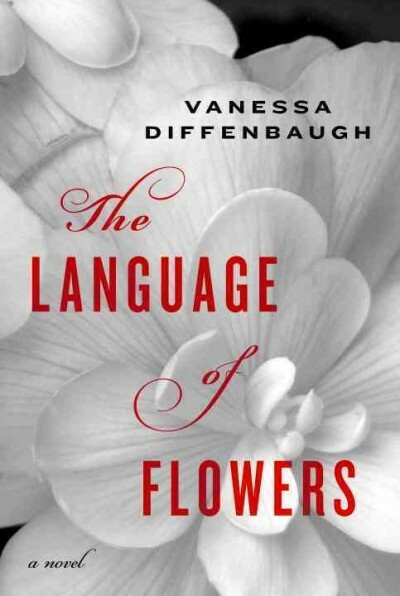 THE LANGUAGE OF FLOWERS has had blossoming (hehe) reviews and if I had 25 hours in my day, I may have already read it. The Language of Flowers is a real treat. Even if you have to give up some sleeping hours to fit it in, you won’t regret it! The plotline is so similar – the main character’s name is even Daniel! Which came first, I wonder…? How strange! 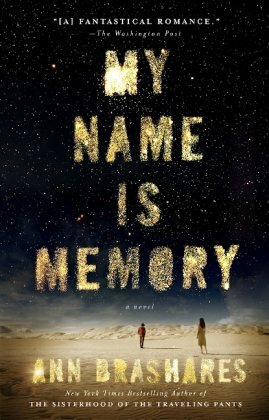 I just looked at My Name is Memory came out first, but not by much. It came out in January 2010 and Fallen came out in September. Considering how time-consuming the publication process is at publishing houses, they were probably in the works at the same time and both houses thought it was a totally original, new book idea. I’ll have to read Fallen and see how similar they really are! Thanks for this, looks like some good reads. 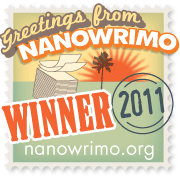 I’ve written a few done! Cheers.